NEW! Send treats to the new big sister! 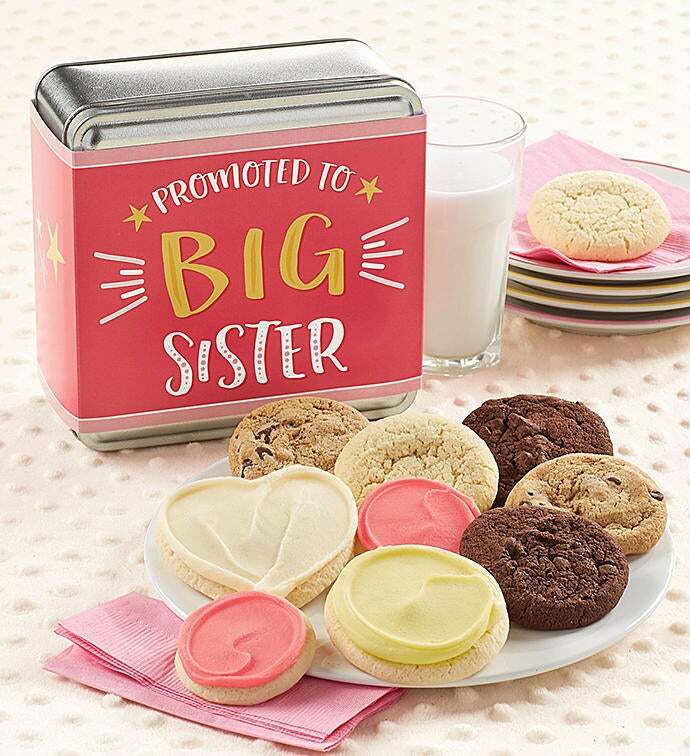 Our delightful gift tins are filled with a delicious assortment of snack size cookies including chocolate chip, chocolate chocolate chip and sugar cookies along with vanilla frosted hearts, frosted lemon bursts, and pink frosted snack size cookies. OU D. 10 cookies.